This article is Part 3 in a series on the Clans. The ongoing series attempts to cover the impact that the Clans, both as a society and as individual entities, have had on the Inner Sphere, since their arrival in 3050 to the present year of 3145. The series began with Part One: Rise of the Clans and continued with Part Two: Crucible of Gold. At the close of the Golden Century, the Clans found themselves increasingly divided along the ideological lines that separated the Crusader philosophy from the Warden mindset. As all of the Clans eventually declared for one philosophy or the other, a growing call in the Grand Council from the Crusader Clans necessitated constant delaying actions from the Wardens. Crusader Clans insisted that a return to the Inner Sphere was imminent and unavoidable. 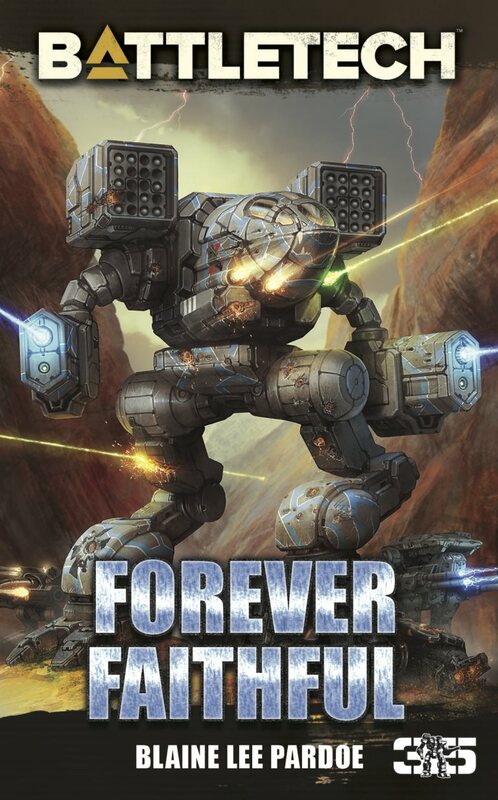 They wanted to bring the rule of the Star League back to the Inner Sphere, once again uniting all of mankind under a single banner. While the idealism that existed within the Crusader Clans might have once come from a good place, which is known as Aleksandr Kerensky’s Hidden Hope Doctrine, the Crusaders had taken the vision of their Founder and crafted from it a call to arms to conquer and subjugate the “barbarians” of the Inner Sphere who has turned their backs on the Star League as the shining hope for mankind. This entry was posted in Historical and tagged Clans, Operation Revival, Wolf's Dragoons on 2015/01/04 by Dave Martin. This article is Part 2 in a series on the Clans. The ongoing series attempts to cover the impact that the Clans, both as a society and as individual entities, have had on the Inner Sphere, since their arrival in 3050 to the present year of 3145. The series began with Part One: Rise of the Clans. 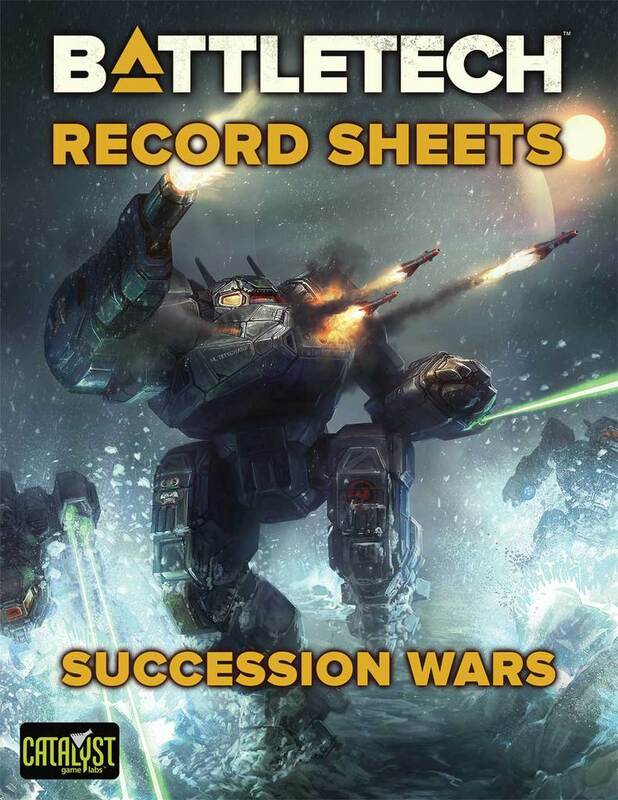 Following the Annihilation of Clan Wolverine, the Absorption of Clan Widowmaker, and the subsequent death of Nicholas Kerensky in 2836, the Clans experienced tough growing pains as their new society struggled to keep up with the loss of their Great Father and the rapidly changing landscape of the Clans discovering what their society would ultimately become. Clan Wolf Khan Jerome Winson stepped up and succeeded Nicholas Kerensky as ilKhan of the Clans, and Winson’s leadership would prove to be just as vital as that of his predecessor. The one hundred years following Nicholas Kerensky’s death, generally agreed upon as 2830 to 2930, are considered by Clan and Inner Sphere historians as the Clans’ own Golden Century. It is during this time that Clan society took firm shape and developed into the culture that invaded the Inner Sphere nearly one hundred years ago. The Clans, perhaps more so than the Inner Sphere, had a burning desire to survive out in the far reaches of space, away from the now storied and increasingly legendary Inner Sphere. While many of the planets that the Clans colonized were habitable, most were only dangerously so, and intimate knowledge of the eco systems of these new planets was still being obtained while the Clans fought over the meager resources at hand. Over the course of the Golden Century, three major events occurred that can be argued to have had the most powerful effect on the Clans as a whole. While Clan society helped to shape, and was in turn shaped and solidified by these events, the most important milestone events are the ones that most directly contributed to the effects that were felt by the Inner Sphere over a century later. 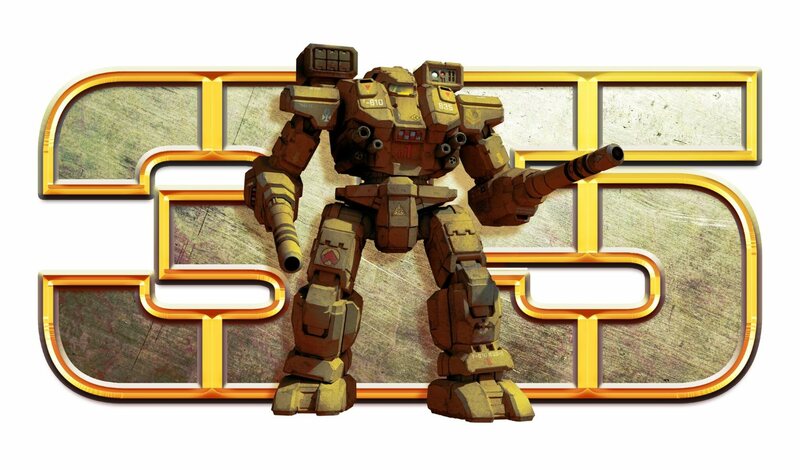 The first event is the Absorption of Clan Mongoose by Clan Smoke Jaguar in 2868. Clan Mongoose had prospered and secured great gains in the earlier years of the Clans. As a result, they were amongst the most powerful of the Clans, but their success also proved to be a dangerous hubris that would soon catch up to them. Clan Mongoose attacked the Smoke Jaguar held world of Atreus, and the campaign soon found its way into the Grand Council, where the Mongoose Khan attempted to stall out the Smoke Jaguars with politics and secure a victory off the battlefield. The Smoke Jaguar Khans saw this political maneuver as an attempt to circumvent the Way of the Clans as written by Nicholas Kerensky and accused Clan Mongoose of treason, calling for the Grand Council to grant them the right to absorb Clan Mongoose. Clan Mongoose had spent a generation or more making enemies in the Grand Council, and the vote to begin the Trial of Absorption was passed. The ensuing Trial of Absorption strengthened the Smoke Jaguars and set the stage for their rise to prominence as an Invading Clan over a hundred years later. 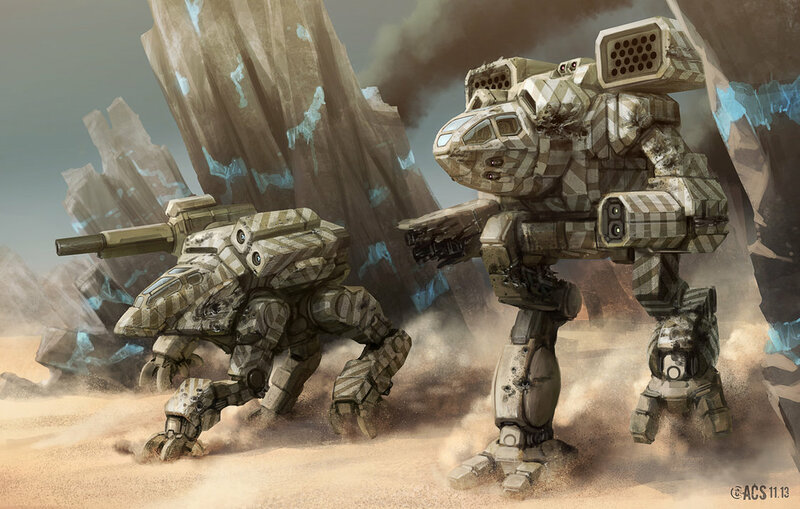 The Coyotl, the first OmniMech created by Clan Coyote. The remaining two major events were less political. 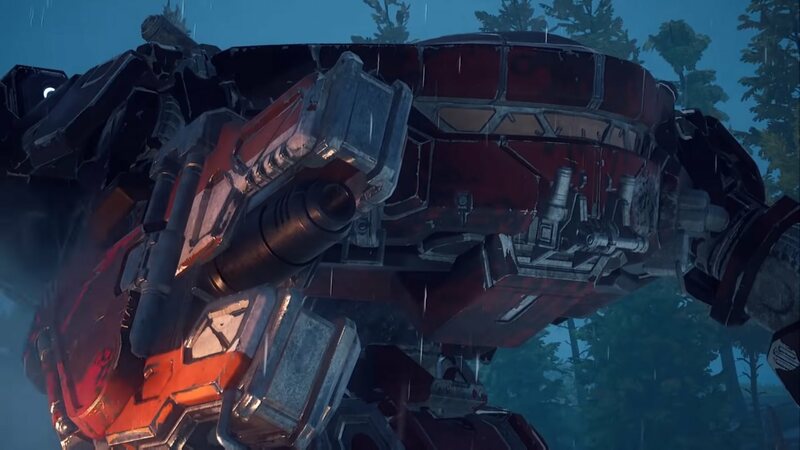 In 2854, Clan Coyote unveiled its new cutting edge weapon, the OmniMech. 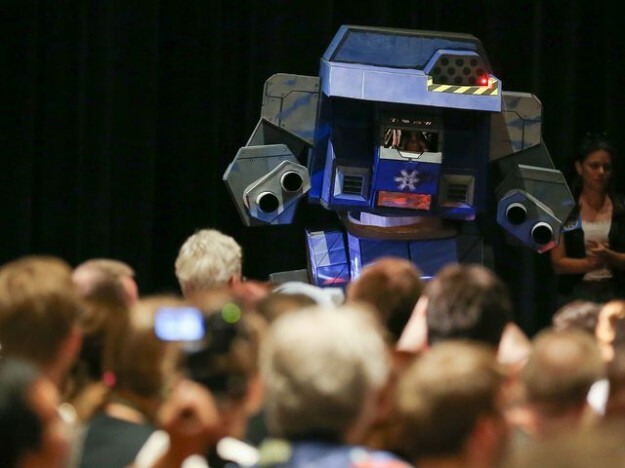 Basing the technology off of Star League prototype modular weapon pods, the OmniMech was immediately sought after by every other Clan. 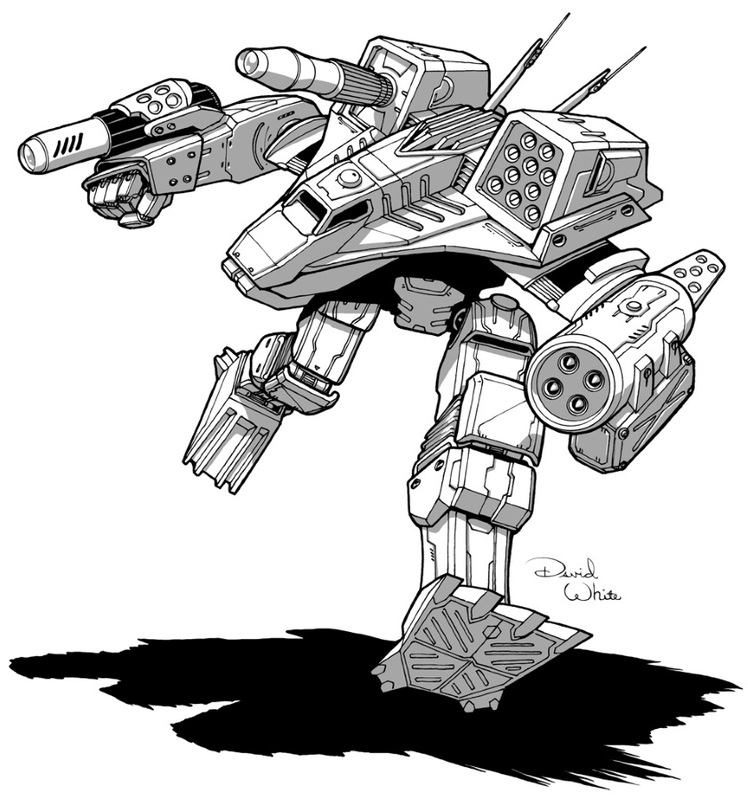 The other major technological jump was pioneered by Clan Wolf, who first fielded battle armored infantry in 2868. 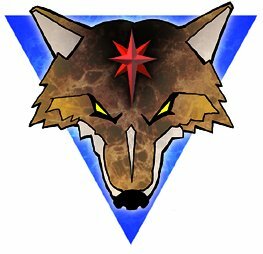 Like the OmniMech before it, Clan Wolf’s battle armor was highly sought by the rest of the Clans. 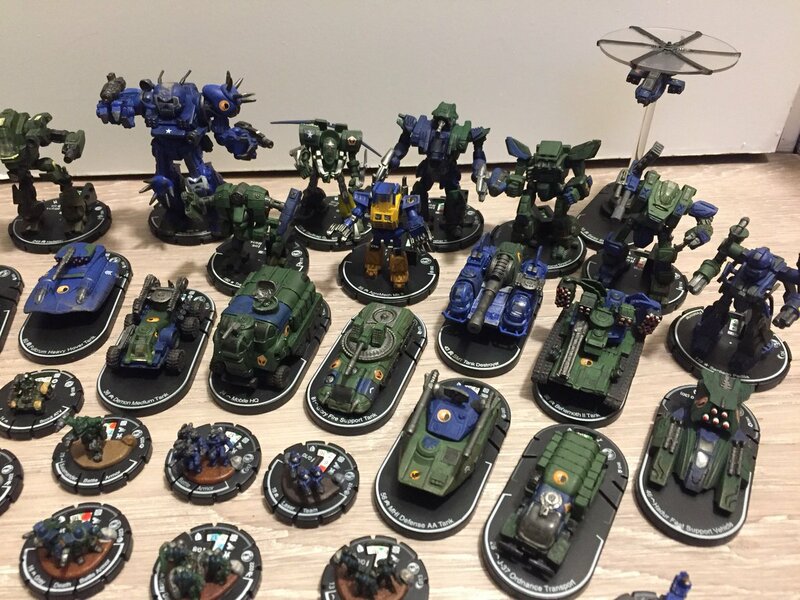 A little over a decade later, every Clan possessed both OmniMech and battle armor technology. 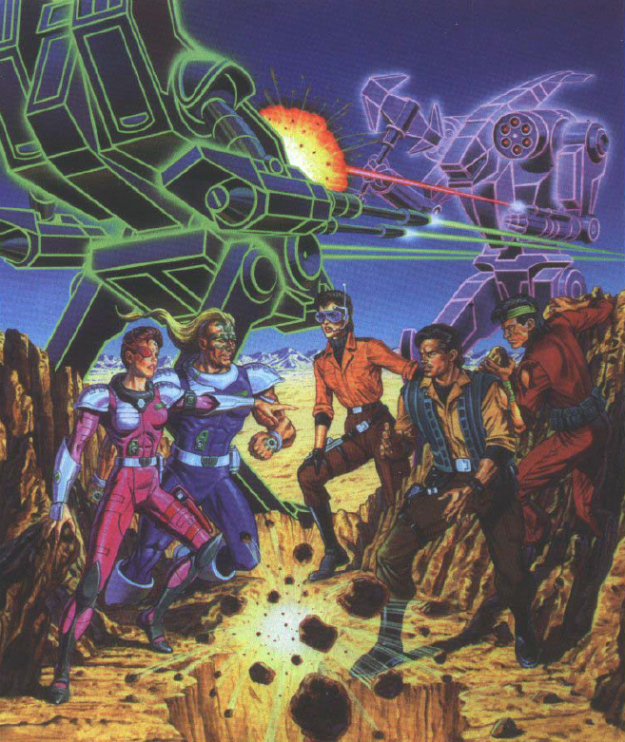 Followed up by Clan Hells Horses’ development of the Elemental phenotype, and several technological advances in the weapons of warfare pioneered by several different leading Clans, the Clans soon found themselves standing on the shoulders of the Star League in terms of weapons and eugenics technology, able to reach heights until then unseen in capability and power. By the time the Golden Century came to an end in 2935, heralded in, according to many Clan historians, by the death of ilKhan Tobias Khatib of Clan Cloud Cobra, the Clans had also established a brand new society that is quite alien and unique compared to anything found in the Inner Sphere or the Periphery states. Almost every form of conflict resolution in the Clans can be found in the form of a Trial. Becoming a warrior, gaining a new rank, settling a dispute, justifying breaking the chain of command, and hundreds of other matters are all settled by each of the separate castes in a manner befitting said caste. The most commonly known Trials are those that govern the dominant Warrior Caste and are fully detailed in other manuscripts. The rigidity of the Clan caste system became solidified and continued to dictate all levels of Clan and inter-Clan operations. Everything about how the Clans operate as a society, from selection of leadership to how each individual Clan operates both internally and between each other, is ultimately guided by the caste system. Warriors stand at the top of the caste system, revered and respected for their martial prowess and ability. Below the Warriors stand the Scientists, who oversee the massive trueborn eugenics programs and develop new technologies. 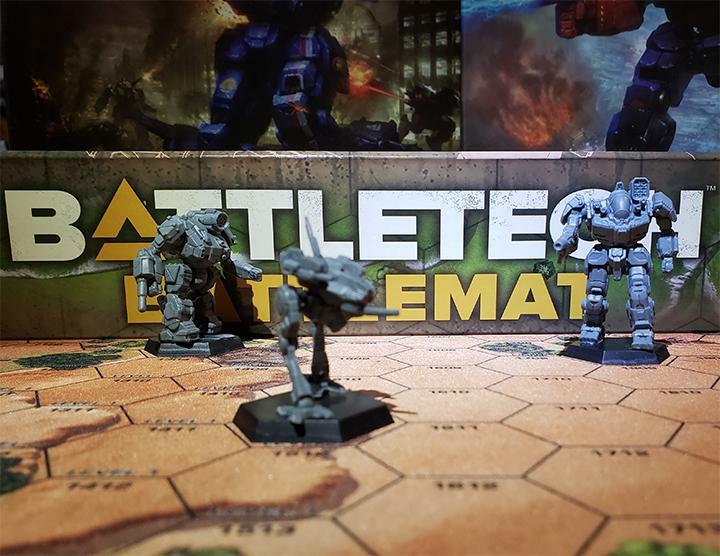 Below the Scientists, the Technician caste operates solely to keep the Warrior and Scientist castes operational, overseeing construction and repairs on everything from BattleMechs and DropShips to habitat systems and mining equipment. 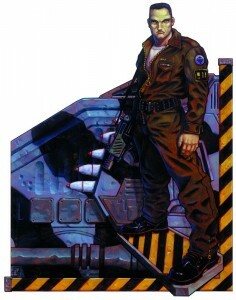 A wild card caste, the Merchant caste officially operates below the Technician caste, but in some Clans, such as Clan Sea Fox (formerly known as Clan Diamond Shark), the Merchant caste plays a much more vital and important role in the Clan and is seen as just as important as the Scientist caste, if not the Warrior caste, in certain situations. Clan Sea Fox stands as an extreme example of this, however, and the Merchant caste of most Clans fits into the society right below the Technician caste. Lowest in the caste hierarchy is the Laborer caste. The people relegated to this caste see a hard life of endless work and toil, enjoying the fewest freedoms of any of the castes. Most Clans regard their Laborer caste as only one step above easily discarded refuse. In almost all of Clan society, no matter the caste, trueborns are almost always considered as higher in status than freeborn members of society. This usually is most true in the Warrior caste, but it can make a difference in other castes, most commonly in the Scientist caste, where eugenics and blood legacies are revered with a near religious zeal. Though not officially a caste, one more level of Clan society has made itself known to us since the Invasion. Commonly referred to as the Dark Caste, these outcasts of Clan society are usually little more than pirates and dissidents who attempt to shirk the Way of the Clans and elect to eke out a meager existence on the fringes of Clan space. In past decades, members of the Dark Caste have even made their way to the Periphery and the outer rim of the Inner Sphere. Not officially recognized as a caste, or as anything else, by the other members of Clan society, the Dark Caste is none the less a black mark on the Clans and stands as a part of their society, no matter how much they would prefer it to be discarded. The Clans that came out of the Golden Century were a refined version of what Nicholas Kerensky had left to its own devices one hundred years before. Each individual Clan was secure in its identity, or well on its way, and many of the alliances and old hatreds between certain Clans that exists today finds their origins in the Golden Century. Moving out of their renaissance, the Clans would soon turn their minds to the Inner Sphere and begin to question whether or not it was time for the Star League to return. For further reading about the Golden Century, check out “Era Digest: Golden Century” available from the following online retail locations. This entry was posted in Historical and tagged Clans, Kerensky on 2014/08/25 by Dave Martin. This ongoing series attempts to cover the impact that the Clans, both as a society and as individual entities, have had on the Inner Sphere, since their arrival in 3050 to the present year of 3145. Nearly a century has passed since the descendants of the Star League Defense Force returned to the Inner Sphere as the Clans. The landscape of the Inner Sphere, both political and physical, has been irreparably changed by their arrival, and Clans’ mark upon the history of humankind will forever be remembered. 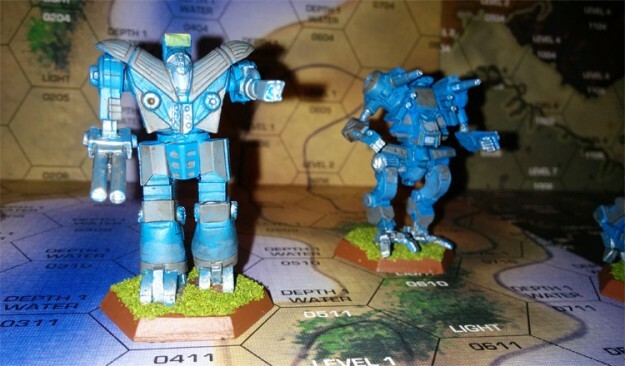 This entry was posted in Historical and tagged BattleTech, Clans, Exodus, Kerensky, Operation Klondike, SLDF on 2014/06/03 by Dave Martin.